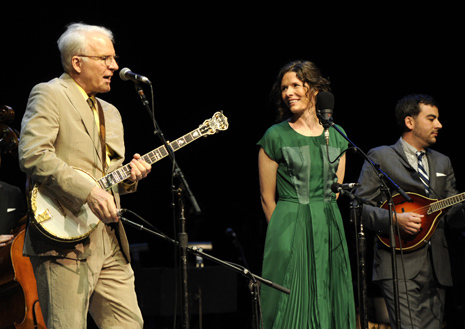 Part-time Brevardian Steve Martin is releasing a new folk/Americana record with singer Edie Brickell. Love Has Come for You will be released in April on Rounder Records. The first track is called “When you get to Asheville.” According to Glide Magazine, the two will tour. 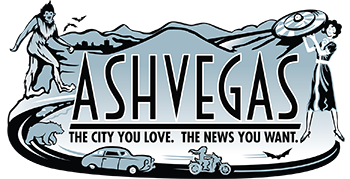 The song I listen to most often is the first one on the record, “When You Get to Asheville.” It begins with a rising, elegiac banjo line, like something you might play to remember someone, then Brickell sings, “When you get to Asheville, send me an e-mail, tell me how you’re doing, how it’s treating you.” Someone has left, and there is a vibrancy in her voice that makes it sound as if she is managing to preserve herself, though part of her feels the loss. New Yorker link here. Scroll down to listen. did you find a new love? UPDATED: Here are tour dates with Brickell and Martin. Looks like the May stop in Greenville, S.C. is the closest they’ll come to WNC. I think we can all be thankful that they did not collaborate with James Franco on the lyrics.